Seeking feedback on these feature tiles to be used on bathroom floor and up one wall with walk in shower (300×600). 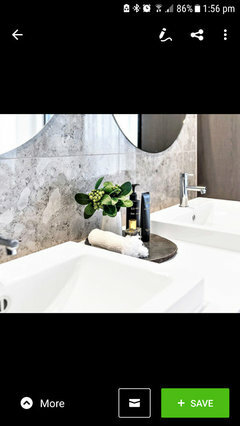 Other walls will have satin white tiles in the same size. I've also attached photoa of the look I'm going for. Thank you! I would say its timeless and elegant. Great choices. make sure you post some pictures of the finished product. Lovely tiles, where are they from? 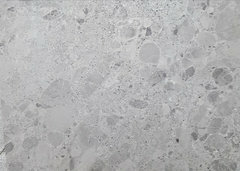 What's your experience with terrazzo kitchen benchtops? 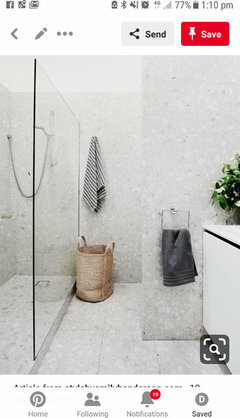 POLL: Would you use terrazzo in your home?